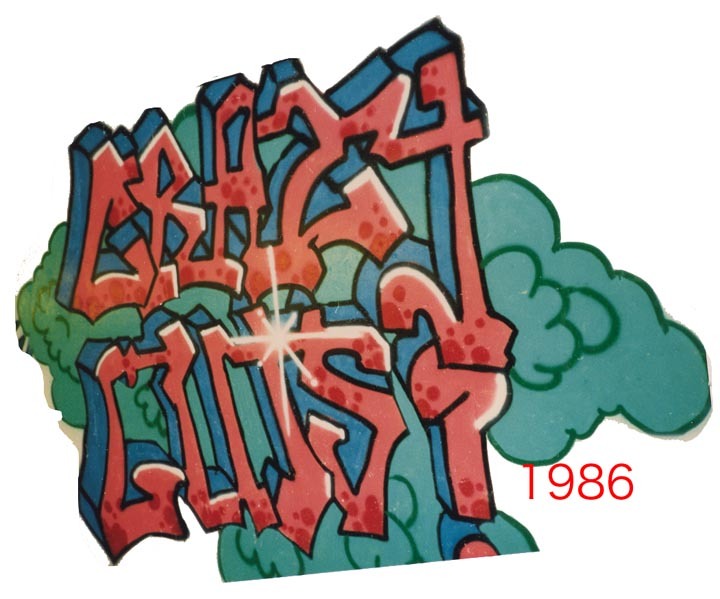 1983-1983: Grafitti was my gateway to spreading colors, energy and joy onto public surfaces. 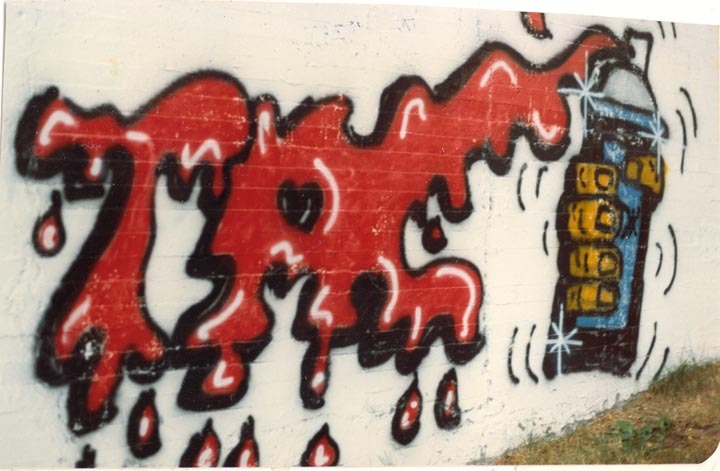 Inspired by the art, the music, the dance, the lyrics, the social awareness and joie de vivre that Hip Hop represented me and my friends formed a team and started doing pieces. Grandmaster Flash, Sugarhill Gang, Rock Steady Crew, RUN DMC and so many more artists were blasting on our boom box while painting. We were thirteen and incredibly cool.